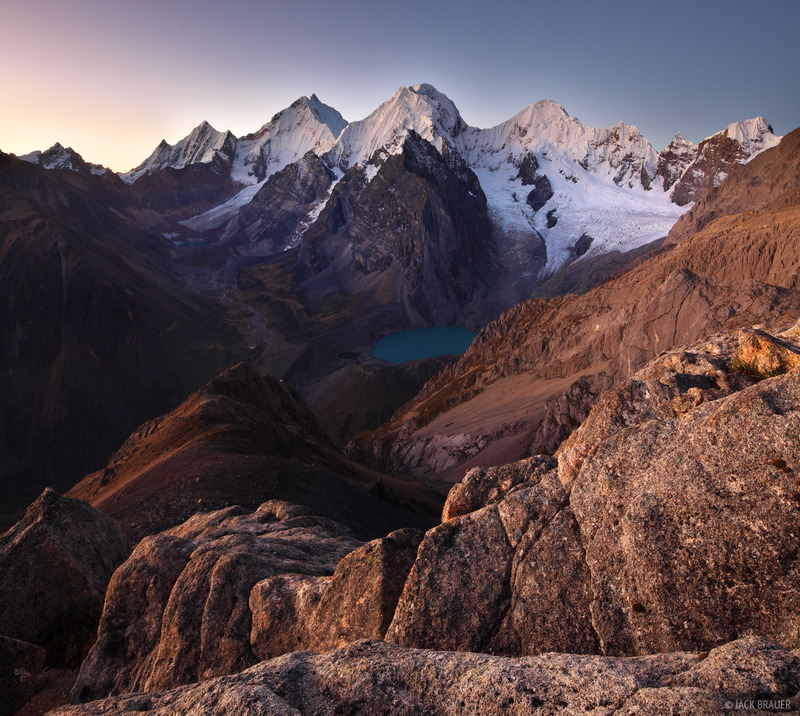 Dusk light on the rugged peaks of the Cordillera Huayhuash, as seen from Cerro San Antonio. The peaks from left to right are Rasac (6040m), Yerupaja (6617m), Sarapo with Siula directly behind (6344m), and Carnicero (5960m). The turquoise, glacier-fed Laguna Jurau is below Sarapo. Siula and the valley at the upper left was the scene of Joe Simpson's epic adventure in the book and film Touching the Void. Photo © copyright by Jack Brauer.